Finding the perfect electric guitar for you to use to tear up a cover of your favorite heavy metal song or to perform an original will help you to distinguish yourself as a musician and your unique playing style. But what one friend may recommend as the ‘perfect’ metal guitar may not work for you, as we all have different budgets and different tastes in music. But, can a guitar even be ‘perfect’ for metal or do all guitars just play the same notes? What makes a guitar a good for metal? It’s entirely true that all guitars play the same notes and that the sound that it created from a guitar comes down the musician playing it, but it’s also entirely true that some guitars fit better into some music styles and genres better than other guitars do. However, music is an art, which means that there aren’t any rules that you have to follow. 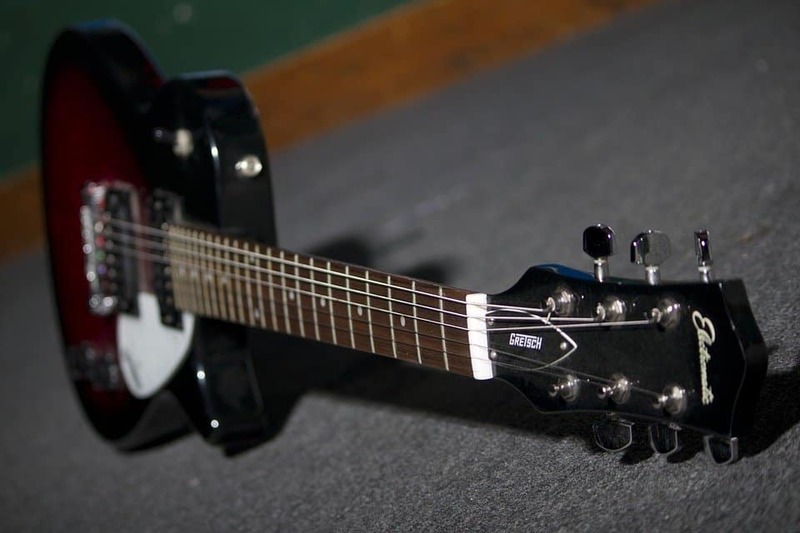 If you want to play metal on a guitar that’s built for jazz or country, all the power to you! But, if you’re looking for a guitar that’ll give your sound an edge and make it a little easier to create a heavier sound, I would highly recommend looking for a guitar that was built for heavy metal. Budget: Sure, there are a lot of outstanding guitars out there that are perfect for metal, but not all of these guitars are going to fit into your budget. The most important thing that you can do for yourself before you start shopping around is creating a budget for yourself! Tonewoods: Mahogany and Basswood are the two best tonewoods used in the creation of metal guitars. Mahogany is a wonderful tonewood that is commonly found on higher-end guitars but is loved because of the rich, deep resonance that it provides. On the other hand, Basswood is a second-great option because of its low-cost, but still provides musicians with deep tones and well-balanced resonation. Playability: Technical playing is a lot easier to accomplish on thin, flat necks. 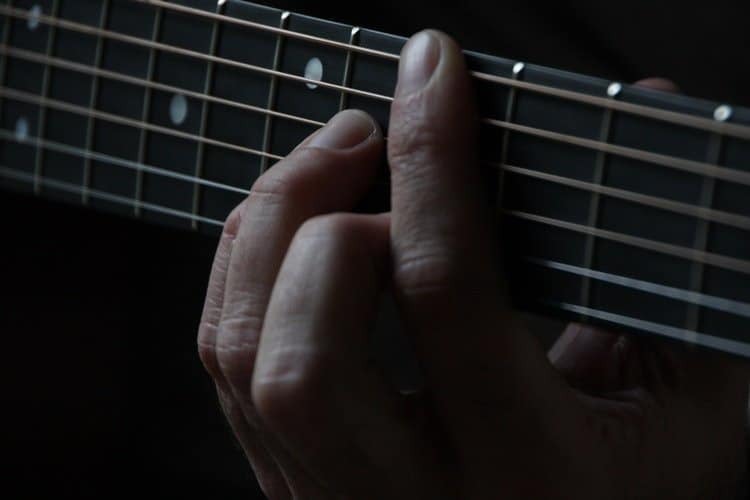 Scale length: The scale length of your guitar will affect the playability of your instrument, especially if you are someone who has smaller hands. Pickups: Depending upon the sound you’re looking to achieve, you may want to take a really close look at the pickups offered on the guitar you’re interested in. Humbucker pickups provide a warm, thicker output that creates a heftier sound. Passive pickups offer a great selection of fierce metal tones. Active pickups give musicians higher gain options, with more control. Electronics: When it comes down to electronics, the options are truly endless. More pickups + more knobs = more control over your sound. Other electronic options include EQ, phase switching, kill switches, and/or coil tapping. Tuning hardware and bridge: You’re really only going to run into tremolo vs fixed bridges. Extra strings: If you’re wanting to challenge yourself a little bit, you can look for metal guitars that have seven or even eight-strings. You could also take some time to look into a baritone guitar, which would make it possible to play at a lower tuning with six-strings. Don’t forget that the more strings there are on a guitar, the winder the neck and the longer the scale length is going to be. 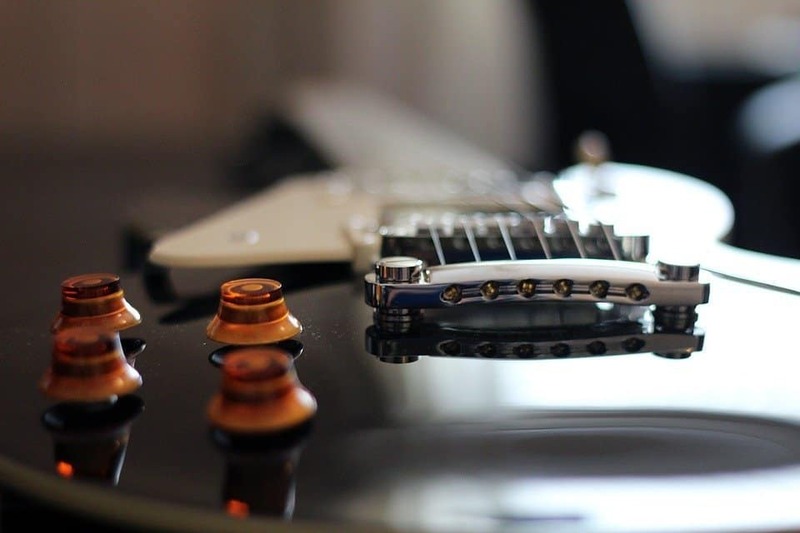 Physical appearance: While the physical appearance of your guitar isn’t going to affect the playability or the sound of your guitar, but there are some shapes that are the most commonly associated with metal guitars. I always say that it’s better to play a guitar that you think looks nice, as you won’t feel as confident playing on an instrument that you think is unattractive. If you’re looking to buy a guitar that fits into the ‘classic’ metal appearance, you’re going to want to look for a guitar that has sharp edges and a more aggressive look to it. 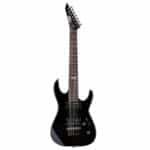 How do I figure out my budget for a metal guitar? As we talked about earlier, the most important step that you can take to prepare yourself for a successful shopping experience is to create a budget for yourself before you start shopping. 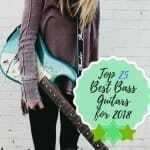 Electric guitars are constantly evolving, which means that there is a big selection of decent quality guitars that you can afford on a tight budget. So, even if you’re worried about not being able to afford an electric guitar, know that there are models out there that start off at $300! Of course, the more flexible your budget is, the more options there are going to be available to you. But don’t think that your dreams of playing metal guitar are crushed if you don’t have an enormous budget to work with- there are options out there for you too! If you’re a beginning musician, you should start off by investing your money into a low-end guitar. Just starting off learning how to play can be tricky enough, but if you throw in all of the bells and whistles that come with a higher-end model, it can get frustrating very quickly. There is absolutely no shame in learning how to play on a low-end guitar and working your way up to a high-end guitar once you get enough skill, experience, and a bigger budget underneath of your belt. On the other hand, if you’re a musician who has been playing the electric guitar for a little while and you’re thinking about investing in a higher-end model to better your skills- don’t. Buying a pricier metal electric guitar isn’t going to make you a better musician, but practicing on a consistent basis will. However, if you’re feeling like your guitar isn’t easy to play or doesn’t fit in your hands comfortably, putting your money towards a model that’s better suited for your hand size is a better idea. But keep in mind that this doesn’t necessarily mean that you need to invest a model that’s super expensive or out of your price range. What do you want your electric guitar to sound like? Another great step that you can take before committing to a purchase is to figure out what you’re wanting your guitar to sound like. Do you want a guitar that’s heavy and edgy enough to only suit metal or hard rock? Do you want a guitar that could fit into other music genres more comfortably, but still be able to dip your toes into metal? Are you interested in playing a guitar that’s hooked up to an amplifier or you are you more of the non-electric kind of musician? Do you want to plug into an amplifier? If not, you may want to consider a different instrument or genre to play. Electric guitars need amplifiers to be used in order for the sound that they produce to be projected, so if you’re not interested in creating loud music, you may be better off going playing an acoustic guitar. Do you want to play a lot of metal or are you interested in playing other types of music as well? Hollow body guitars a great for a lot of other music styles, but don’t make very good guitars for metal or hard rock. On the other hand, if you are interested in playing metal and/or heavy rock, a solid body electric guitar is going to be the most successful instrument for you. Do you want your sound to be thick and beefy or are you interested in having more control over your sound? A humbucker pickup will provide your guitar with a heavier, brawnier sound while an active pickup is going to provide you with more control over your entire sound. What kind of a bridge do you want? A tremolo bridge is going to adjust the spring tension, which will give you the option to lift and drop the pitch of your strings. If you’re a beginning musician/guitarist, I would highly recommend starting off with a fixed bridge. What should my metal guitar look like? Thinking about the physical appearance of guitar that you’re wanting to have doesn’t mean that you only to need to ponder about what color stain you want your body to have finished with. Take a little while and think about all of the factors that would go together to make a perfect guitar for you. 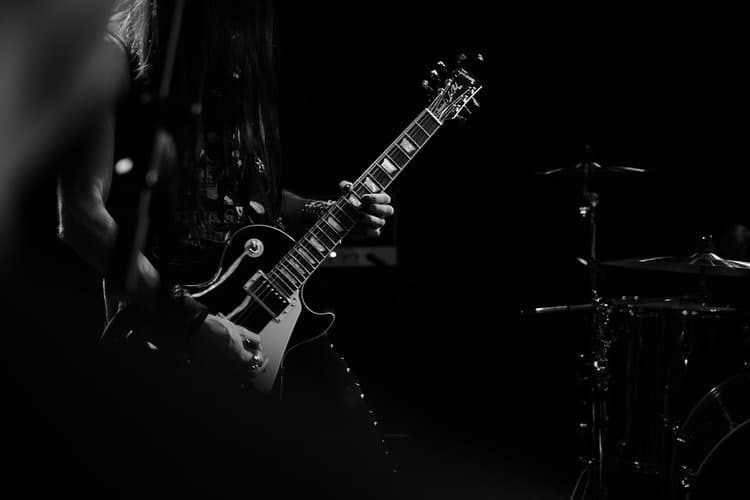 One thing that makes the metal genre unique is that there is a very specific look that comes along with the music; typically, a lot of guitars used in metal and heavy rock have sharp edges and are more angular in appearance. If you want to walk the walk and have a guitar that looks like a metal guitar, keep a look out for guitars that have an edgier profile. And of course, don’t forget to think about what color you want to finish your guitar off with! What style of guitar works the best for metal? If you go to any metal guitar expert, they’re more than likely that a proper metal guitar is going to have at least a humbucker pickup at the bridge. The humbucker pickup is what is going to give you that chug that’s so commonly heard in metal. While single coil pickups to help provide your sound with more accuracy, you won’t be able to soak your signal with high gain distortion, as single coil pickups tend to get inundated rather quickly. This means you’re going to be left with very little accuracy and a muddy tone that leans on the shallow side. That’s why humbuckers are so great when it comes to using them for playing metal! Not only will humbucker pickups get rid of all of these problems, but you’ll also find that your pickup hum has been completely eliminated. You are also going to find guitars with passive and active pickups, but keep in mind that there are going to be some musicians that are biased towards one pickup, although they both have their pros and cons. You can read more about active pickups vs passive pickups here (insert link). Active pickups are going to be more expensive but will help push you towards definition and volume that metal music typically has. 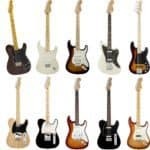 If you’re specifically looking at electric guitars that were built for metal, you’re going to find that a lot of affordable electric guitars will have passive pickups. I personally recommend trying to invest your money in an electric guitar with active pickups, as an active humbucker pickup is going to have a strong output, although you will notice that an active humbucker pickup isn’t as clear as a passive humbucker pickup is. If you’re looking to play a lot of metal music that has a faster tempo and you’re interested in playing a lot of solos, I would recommend looking into an electric guitar that has a thinner neck profile. However, don’t let anyone tell you that you need to specifically buy a guitar that has a super thin neck profile, as the majority of all guitars that are built in modern times have a thinner neck profile. It’s not of absolute importance to have a thin neck profile on a guitar to play metal, but it certainly does make playing fast solos a lot easier. Thinner necks will make shredding a lot easier, but at the other end of the spectrum, thicker necks will be a lot easier to grip if you have larger hands. Choosing between the two neck profile types will really just depend upon your hand size and if you’re going to be playing rhythm or lead guitar. If you’re playing lead guitar, you’re going to notice that your scales will be a lot faster and articulation will be easier on a thin neck profile. But if you’re a rhythm player, you should have an easy time playing on both profiles. Usually, bridges that are on guitars that have been specifically built for metal are going to be some form of a tremolo bridge. Most commonly on affordable or budgets, you’re going to find a Floyd Rose bridge installed, even though a Floyd Rose bridge is extremely hard to tune. It’s entirely possible to learn how to properly turn your instrument with a Floyd Rose bridge, I have found that my strings frequently snap when I’m tuning using a Floyd Bridge. If you’re looking to invest in an electric guitar to use for live performances, I would recommend staying away from a guitar that has a Floyd Bridge or at least put some money aside so you can invest in a higher-quality bridge, especially if you’re a beginning musician. Another thing that I want to mention is that a lot of beginner friendly budget guitars don’t sport a genuine Floyd Rose tremolo bridge, but actually use a licensed copy on their guitars. If you can, take time to find a guitar that has the legitimate Floyd Rose tremolo bridge, as there are so many working pieces that go into creating a successfully functioning bridge. A lot of the ‘knockoff’ versions don’t have the precision down in the way that Floyd Rose does, which means you’re going to struggle a whole lot more getting a ‘knockoff’ version of the Floyd Rose tremolo bridge to work for you than if you were to invest in the real deal. If all of this is scaring you off, it’s totally okay to go with a fixed bridge, especially if you’re a beginner. A tremolo bridge is pretty important in the world of metal, as there are so many effects that you can achieve with the help of a tremolo bridge, but it’s totally okay to get used to working with a fixed bridge first. Instead, look at guitars that have a Tune-O-Matic bridge of some sort. If you absolutely feel that working with a tremolo bridge is a must, I should warn you that you’re going to invest a lot of money in a guitar that has a tremolo bridge in comparison to the pricing for a guitar with a fixed bridge. Don’t let all of this make you think that tremolo bridges are a bad thing for metal! Having a tremolo bridge on your metal guitar is going to provide you with a lot more flexibility and you’ll be able to perform a lot of unique techniques, such a vibrato and dive bombs! As I talked about earlier, the choice of tonewood that is found on a metal guitar is going to change up depending on the price tag of the instrument. If you can afford it, I would highly recommend going with mahogany as a tonewood because of the depth that it creates, but also because of the resonation that mahogany creates. But if you can’t afford mahogany, basswood is still a really nice tonewood that is just a little bit softer than mahogany is, which means that your instrument is going to be more fragile. However, the tonal production of basswood is very comparable to mahogany! If you want to invest in a guitar that’s going to last you a long time, I would highly recommend upgrading your tuning machines to a set of locking tuners. Buying a guitar is certainly a lot of fun, but it’s not a lot of fun to find out that the new instrument you just bought isn’t retaining your tunings. Investing in a set of high-quality tuning machines (such a locking tuners) is going to help your strings from losing the tunings that you last left them in. However, depending on the model that you’re getting ready to invest in, some higher-end models do already have locking tuners installed. I would highly recommend upgrading your tuning machines as soon as you possibly can, as playing metal music is going to take a toll on your strings rather quickly. This doesn’t have to be done right away, but if you notice that your instrument is starting to have problems retaining tunings, the first place that I would recommend starting is upgrading your tuning machines. While the four above points of interest are what all come together to create outstanding metal guitars, I also wanted to take a second to talk about the influence strings have on the relationship you have with your metal guitar. How many strings there are on a guitar and the type of strings used on a metal guitar hold more importance than a lot of people tend to realize. When you first get your new guitar, I would highly recommend changing out the strings that originally came on the guitar and switch over to strings that are meant for heavy metal. When playing heavy metal, you’re going to want to play on strings that have a thicker gauge; I would recommend not purchasing a set of strings that have a gauge lower than .010-.052, as these will be too thin. 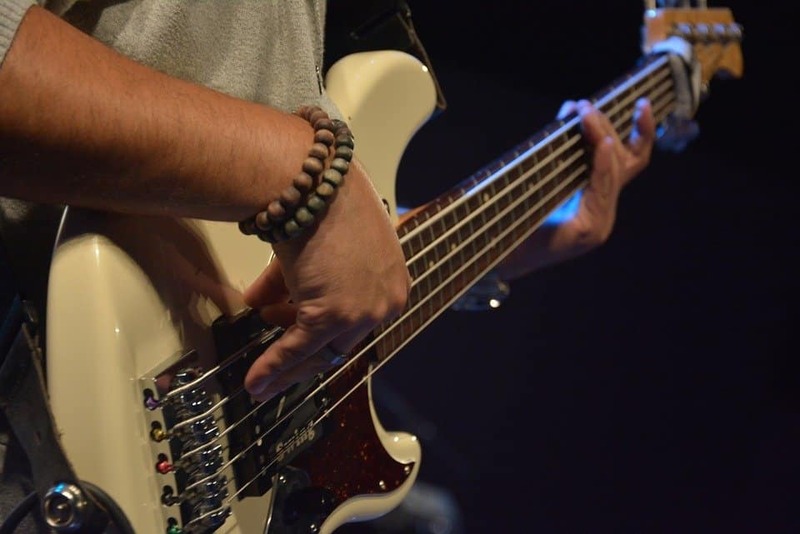 However, also be careful to not purchase a pair of strings that are too thick, as this will put a lot of strain on the neck of your guitar, which will cause a drastic change in the intonation of your instrument. Also, if you’re an experienced musician, contemplate between sticking with a six-string electric or upgrading and challenging yourself with a seven or eight-string guitar. Seven and eight-string guitars provide musicians with a greater range of notes, so if you’re an experienced musician who is looking for a real change of pace, upgrading to a guitar with more strings can really switch things up for you! What guitars are best for metal? Before looking for brands, what you should really focus on is the quality of the materials of which the body and neck is made of, and the hardware and electronics as well. In the past, musicians used ash bodies and maple necks, however, nowadays musicians tend to use high-gain amplifiers and de-tuned guitars. What guitars do metal bands use? Is it hard to learn a steel guitar? Playing steel guitar definitely is not an easy thing to do. 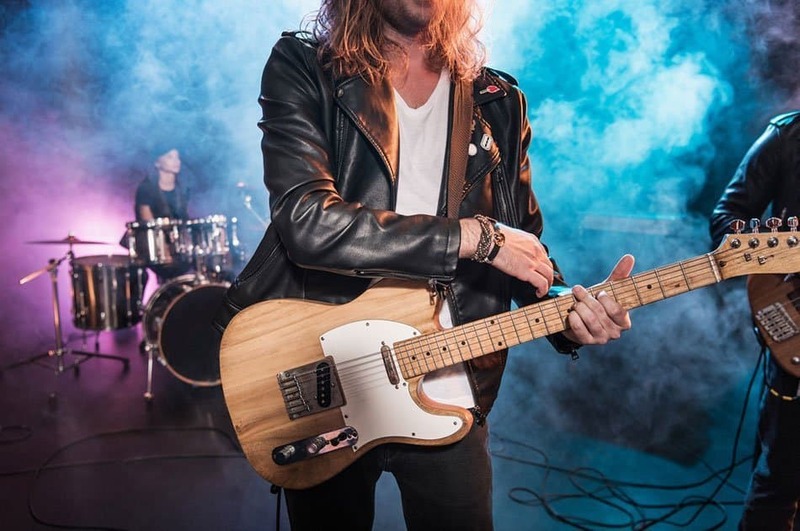 It really takes a lot of practice, effort and of course a desire to learn, but if you have already played on a standard guitar, that transition might be easier. The term ‘metal guitar’ is such a broad term, as there are so many different types of sub-genres of metal out there. It almost seems that every couple of months, there’s a new underground type of metal emerging, which means that the world of metal is constantly evolving and changing. One of the best things about metal is that it’s an extremely fluid genre, which means that it takes all sorts of sounds, playing techniques, and tones to fill in all of the different sub-genres of metal. While there are some unwritten rules that come with metal guitars (we’re talking to you, hollow bodies), music is an art form, which means that you can really do whatever you want. If you don’t like the idea of a pointy guitar hanging off of your neck, don’t do it! For the ultimate metal tone, there are several components that you’re going to want to have all lined up in order to achieve that tone. 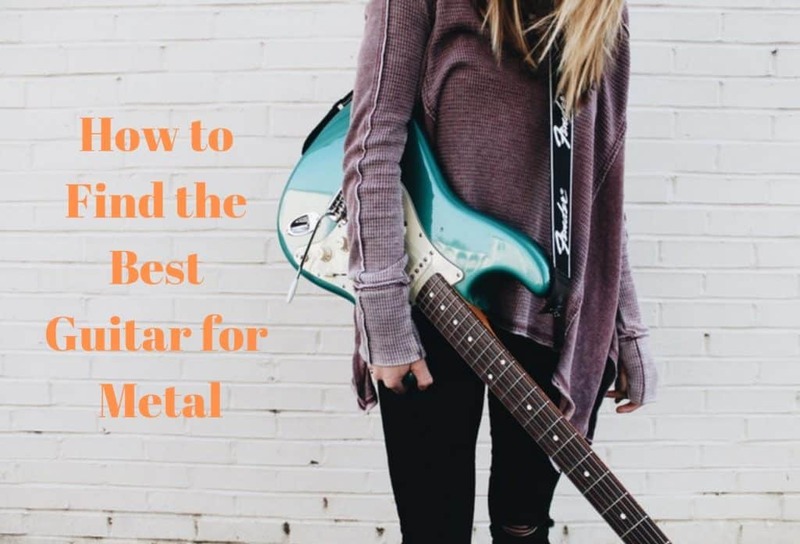 Don’t get caught up in the bells and whistles of guitars until you have a solid understanding of what the basic components of your dream metal guitar can deliver to you!